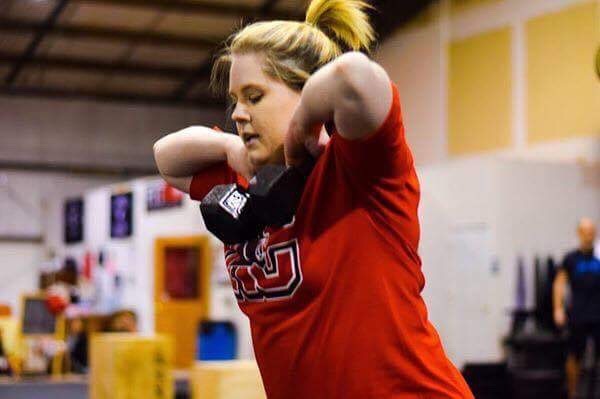 "I am much more confident and just healthier mentally"
I walked into CrossFit Iron Hammer having no CrossFit experience at all. I was an out of shape college athlete looking to gain some strength back and lose some weight but I didn’t realize I was going to get so much more. I’ve been training at CFIH for a little over nine months now and not only am I stronger physically (I’ve added 140lbs to my back squat!) but I am much more confident and just healthier mentally because I no longer judge myself based on looks but on what my body can do that I haven’t been able to do in the past. I’ve also gained a wonderful community of friends who are very welcoming of me and my five year old son. All this to say I’m very thankful for CFIH, y’all have me for life!